It’s odd to think how important coffee has become to our society. It can be drank alone or with others. You can make a pot at home or grab a cup to go for work. There are songs about coffee and pivotal television settings like Central Perk in Friends. No one thing has left as big of a mass impact on coffee culture as has Starbucks, however. 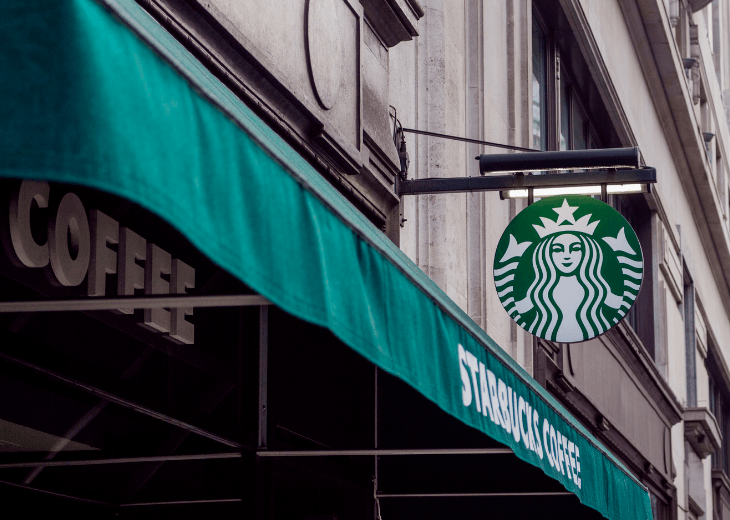 Let’s look at just how Starbucks became the coffee giant it is, and what coffee drinkers and entrepreneurs alike can learn from their success and history. Not unlike other major corporations like Hewlett Packard, our history of Starbucks begins with classmates who ended up becoming lifelong business partners. In 1971, Jerry Baldwin, Gordon Bowker, and Zev Siegel opened their first location in Seattle’s Pike Place Market, according to Encyclopedia Britannica. 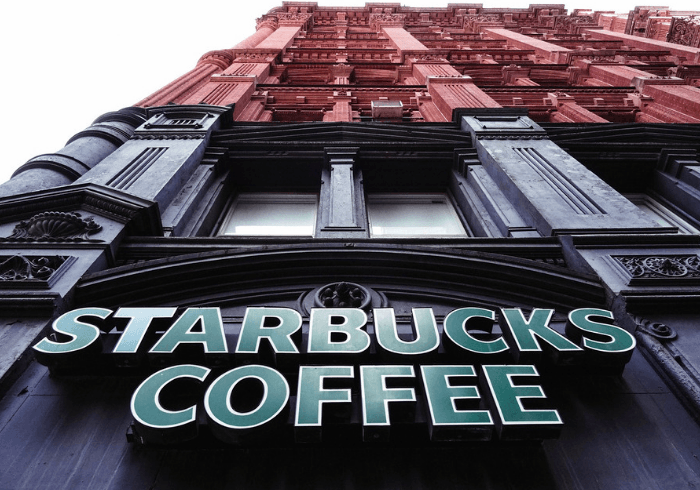 A decade later, CEO Howard Schultz visited and, being impressed by the company, formed a relationship with the remaining two owners (Siegel had recently left), and was soon hired on as head of marketing. Starbucks wasn’t a coffee house or a coffee shop yet, however. They were primarily a retail store for coffee machines and coffee beans. Schultz ended up buying Starbucks from the two remaining original owners in the late ‘80's and pushed for it to become a cafe-style coffee house based on the coffee house culture thriving in Italy earlier that decade. From there, Starbucks expanded across the globe, and the rest, as the cliche goes, is history. 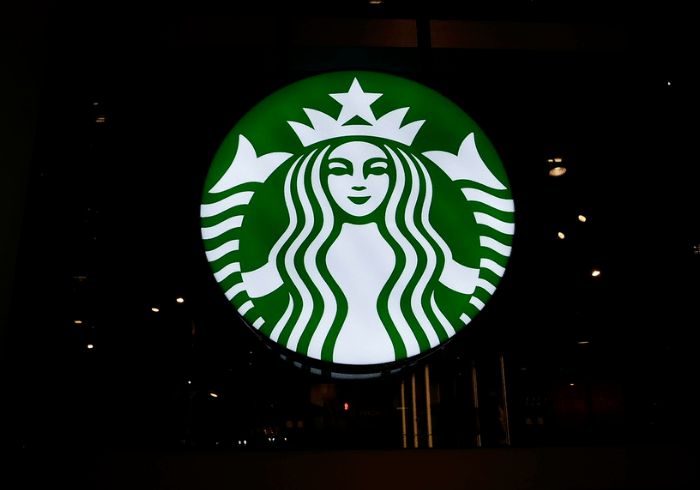 The Starbucks Siren, also known as a mermaid, is crucial to their recognition as a coffee chain. In fact, the logo doesn’t even have to say “Starbucks Coffee” anymore because it’s so well known. The mermaid is what some would call an “iconic person’” logo. She is personable and unique, yet slightly ambiguous. While her design is simple, it’s also memorable. Starbucks has been smart enough to put her on all of their coffee cups, bags, and merchandise. Often you’ll see people leaving independent coffee chains with plain white cups, but Starbucks uses their logo to brand everything. Undoubtedly this is a large part of why she is so iconic and well known. While she may not have the personality or profile of Colonel Sanders or Jack from Jack ‘n The Box, the liveliness of her character which makes her accessible. Since its inception Starbucks has had their nose to the ground when it comes to innovating off the newest technological trends. The three original founders started Starbucks to sell the best high-quality coffee brewing technology, in addition to using it themselves to create their own brand of coffee. Even though the company has gone through a few changing of hands since, it’s clear that that mindset has followed them into the modern day. 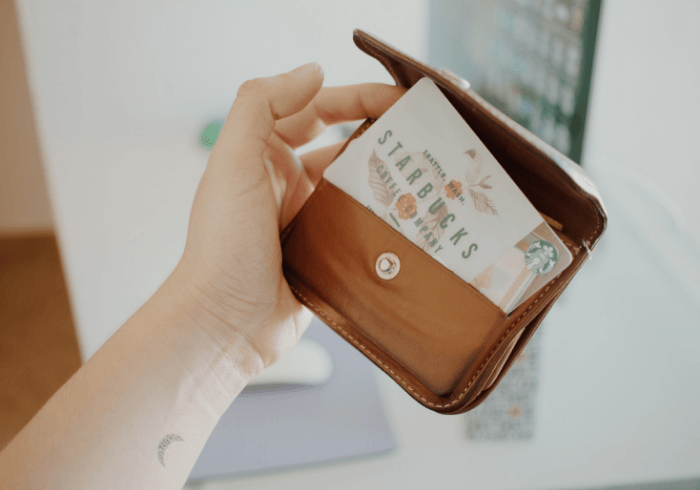 One such franchise is Starbucks, who use a loyalty card scheme also available as a mobile phone app, which not only entitles customers to 'stars' which can earn free drinks, but also free extra shots of coffee and syrups to add to their drink. Even Starbucks’ merchandising is ahead of the cut. 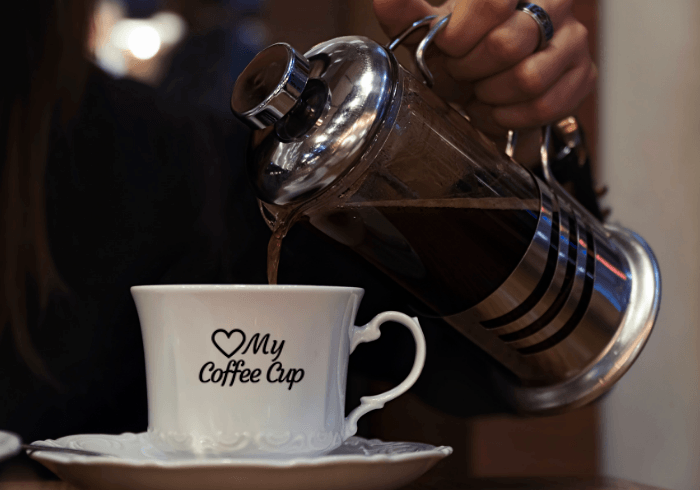 Their portable coffee thermoses allow customers to take coffee on the go, and while coffee thermoses are nothing new, a coffee shop selling their own thermos is still relatively uncommon. But Starbucks knows how to give the customers what they want. 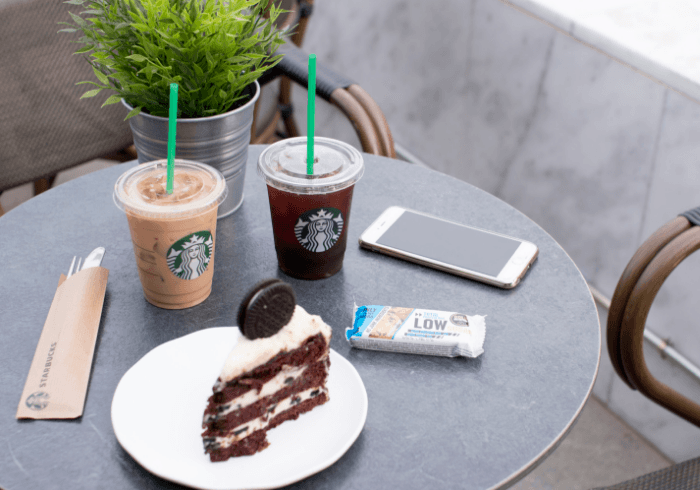 Starbucks has gone beyond the question of “what are we selling people?” and asked themselves “what more do the people want?” They didn’t stop at coffee, but went further into what a typical Starbucks coffee drinker wants. Keeping their brand aesthetic and experience in mind, they embraced a variety of beverages, foods, and products to offer. This has led Starbucks to be widely appealing, even to infrequent coffee drinkers. Not only do they offer coffee, espresso, and the usual, but they offer frozen drinks, green coffee, their own brand of merchandise, and until 2015 they even sold music that was played in their stores. This variety has made them more accessible than other coffee chains, and their brand has become the product — not just the individual items they sell. It’s this that has led to their longevity. If you’d like to compete in the coffee industry that has a Starbucks at every corner, then you need to be innovative like they are. 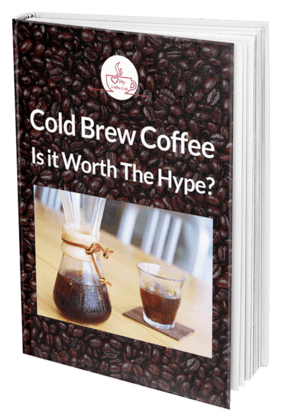 This requires being knowledgeable about what coffee technology is setting the current standard, as well as customer technology. For instance, it’s appearing that mobile payments will be the way of the future. In fact, 15 percent of Starbucks purchases in October 2014 were completed via a mobile app, and it’d be safe to assume that number has only grown. What Starbucks did through its branding was offered products and an experience you couldn’t get anywhere else at the time. You need to be aware of what’s going on in the industry; however, it’s more important that you do something different than it is something more technologically advanced. For instance, some shops use high-quality fresh presses for their coffee to give a richer taste and a more classic experience, rather than diving deeper into coffee technology. See, fresh presses are older — you can trace them back to 1928. But it's nostalgic use and less machinic build give it a hand up for people wanting options less streamlined or different than Starbucks. If Starbucks offered that to the world all the way back in 1971, then we can offer an alternative to Starbucks in the same mindset in 2018. Additionally, Starbucks is very good at knowing what their audience wants and getting in their faces. Since you don’t have the resources to be on every street corner, show up and participate in the things they are involved in. Be a part of things like Small Business Saturday and position yourself as a company filling an unmet coffee need in your community. Be changing and open to suggestions. Stay ahead of the curve, innovate, and sell coffee! 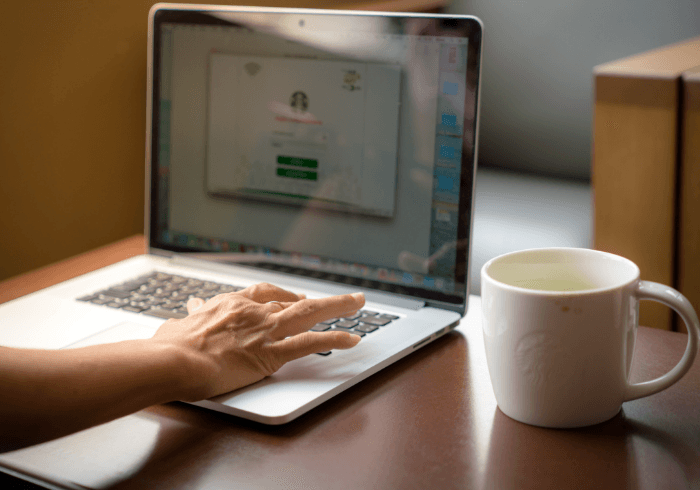 Are you a coffee entrepreneur that’s taking cues from Starbucks? What have you learned? Feel free to tell your story in the replies below!